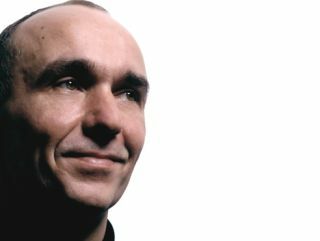 Peter Molyneux, one of the UK's highest profile games developers, has announced he is leaving Microsoft after five years at the company. Molyneux joined Microsoft after Lionhead, the studio he founded, was bought by the computing giant and with it games franchises such as Fable and Black & White. In a blog post, Molyneux revealed that he was ready to leave the company and will bow out after an upcoming sequel to Fable. "It is with mixed emotions that I made the decision to leave Microsoft and Lionhead Studios, the company that I co-founded in 1997, at the conclusion of development of Fable: The Journey," said Molyneux in a statement. "I remain extremely passionate and proud of the people, products and experiences that we created, from Black & White to Fable to our pioneering work with Milo and Kate for the Kinect platform. However, I felt the time was right to pursue a new independent venture." The new company he refers to is 22 Cans, which he has started up with ex-Lionhead bigwig Tim Rance. Molyneux spoke to TechRadar last year as part of Brit Week and praised the game Minecraft, saying, "It is probably the most impressive game I've seen in the last ten years." Let's hope his new endeavour – away from making things for Kinect – means he will create a game with similar idiosyncrasies.